So funny the things we take for granted sometimes. Growing up around plantains all my life it never occurred to me, until recently, that this fruit is almost completely unknown in many parts of the world! 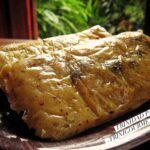 It was only through various conversations with people, primarily from Europe, and an episode of the recently concluded MasterChef US, that I realized that it was high time to shed a little light on this oh-so-versatile mainstay of many Caribbean, Latin American and African dishes. Or, to quote the title of the following article in my ongoing Caribbean Beachcomber 1969 series… “That Big Fat Banana Is A Plantain!”. That big fat banana is a plantain! Plantain is a versatile fruit which appears to be an over-sized banana. It can’t be mistaken, however, since it is inedible unless cooked. It may be prepared when either green or ripe, but since the texture is very different depending upon its ripeness, consult your recipe before using the plantain. Tostones (Puerto Rican fried plantain chips): Cut the green plantain into 3/4 inch silces on the diagonal. Soak five minutes in salted water. Dry, fry in hot oil until beginning to brown, remove from pan and flatten using a glass or other rounded object, and return to the pan to finish frying. Chips can also be made by slicing the plantain very thin and frying in hot oil. 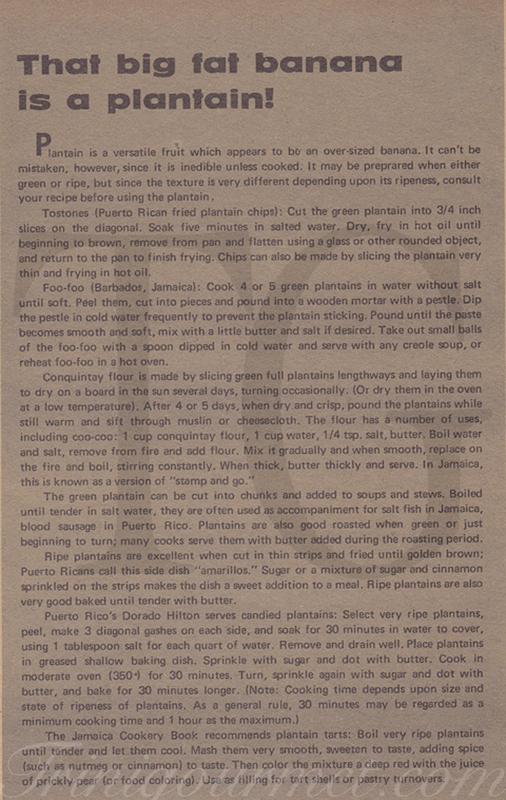 Foo-foo (Barbados, Jamaica): Cook 4 or 5 green plantains in water without salt until soft. Peel them, cut into pieces and pound into a wooden mortar with a pestle. Dip the pestle in cold water frequently to prevent the plantain sticking. Pound until the paste becomes smooth and soft, mix with a little butter and salt if desired. 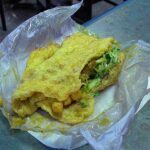 Take out small balls of the foo-foo with a spoon dipped in cold water and serve with any creole soup, or reheat foo-foo in a hot oven. The green plantain can be cut into chunks and added to soups and stews. Boiled until tender in salt water, they are often used as accompaniment for salt fish in Jamaica, blood sausage in Puerto Rico. Plantains are also good roasted when green or just beginning to turn; many cooks serve them with butter added during the roasting period. Ripe plantains are excellent when cut in thin strips and fried until golden brown; Puerto Ricans call this side dish “amarillos”. Sugar or a mixture of sugar and cinnamon sprinkled on the strips makes the dish a sweet addition to a meal. 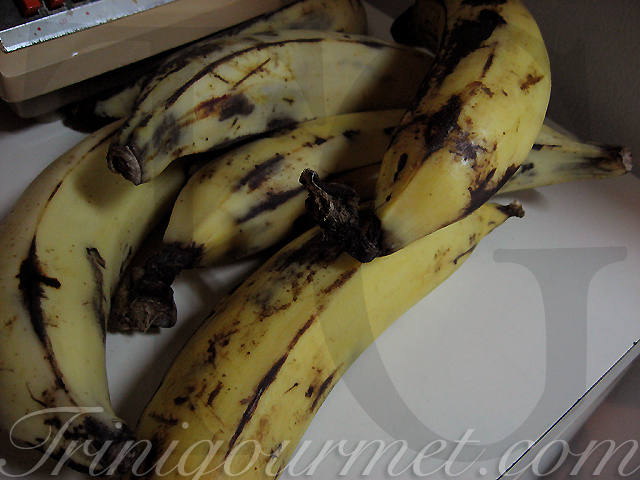 Ripe plantains are also very good baked until tender with butter. 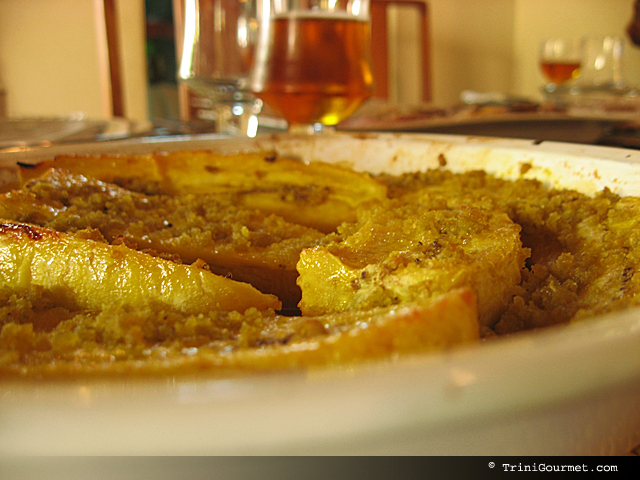 The Jamaica Cookery Book recommends plantain tarts: Boil very ripe plantains until tender and let them cool. Mash them very smooth, sweeten to taste, adding spice (such as nutmeg or cinnamon) to taste. Then color the mixture a deep red with the juice of prickly pear (or food colouring). 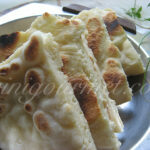 Use as filling for tart shells or pastry turnovers. Kelewele is a popular Ghanaian snack dish made from plantains..
Plantain is rarely showcased this formally on dinner tables and it really is a shame. 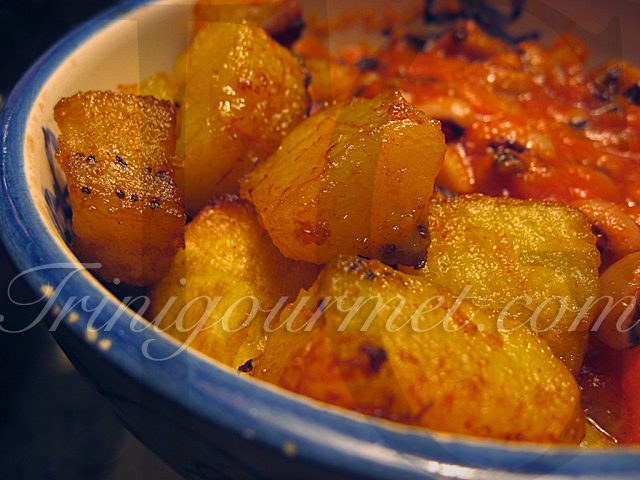 In this case, lengths of ripe plantain are oven-baked with orange juice and zest. 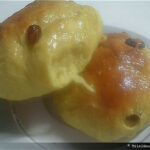 The result is creamy, with a slightly caramelized exterior. 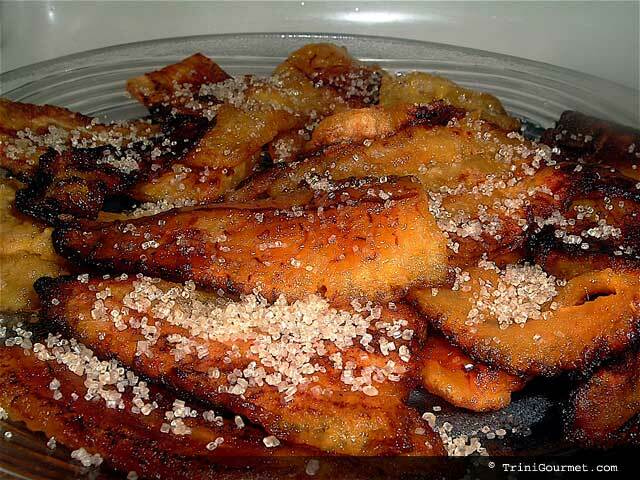 Fried Plantain is a simple snack that appears to be common on tabletops across the Caribbean. I’ve grown up eating them my father’s way which is to wait for the plantain skins to turn almost black before panfrying them on high heat, until they are slightly charred on the outside. Then, when done, immediately sprinkle the slices with brown sugar. YUM!